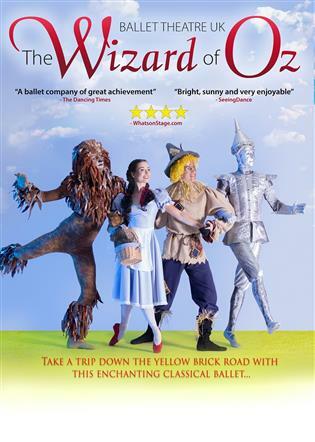 Enjoy Dorothy, the Scarecrow, Tinman, and Lion, (and yes Toto too) as they seek the Wonderful Wizard to find that there’s no place like home. The Wizard of Oz is a two act, full-length, ballet adaptation of the iconic tale by L. Frank Baum, told through the magic of classical dance. Set to a classical score which brings the story to life, this production is family friendly and is the perfect way to introduce children to the classical ballet.